If you're looking for expertise, you've found the right place. Based in Columbus, we provide service throughout central Ohio. We offer a range of programs that are safe, proven, and effective. Using only EPA registered products, and with decades of experience in the industry, we take care of the problem, "No Ifs, Ants or Bugs" about it. Contact us today to learn more about our services and programs. We welcome the opportunity to serve you. 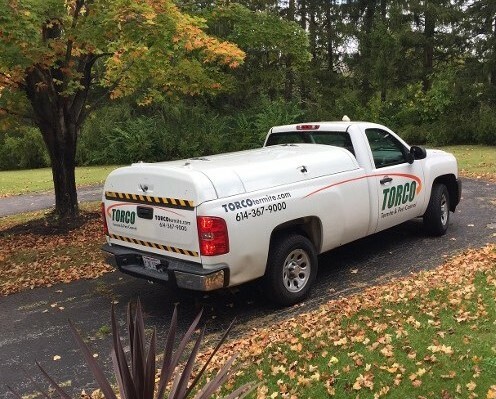 Look through our website to learn more about TORCO™ and the services we perform, such as residential termite and pest control and elimination, integrated pest management, real estate inspections with gas line protection, as well as a broad variety of services for commercial and industrial businesses. Have Our Team Call You! We offer Wood Destroying Insect Reports (WDIRs) that are required for most real estate closings. In addition, we offer GAS LINE WARRANTIES that are also required. We offer a broad variety of commercial services for apartments, restaurants, warehouses, offices, public buildings, schools and manufacturing facilities, including state-of-the-art integrated pest management programs. We are looking for focused, dependable people with the highest levels of integrity and work ethics who want to pursue a career with a growing company. Contact us to learn more. 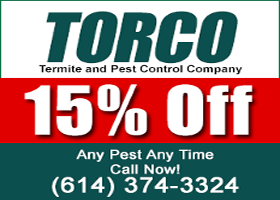 TORCO™ is a full-service termite and pest control company based in Columbus, Ohio that provides services throughout Ohio, including Marion, Newark, Zanesville, Chillicothe, Springfield, Dayton, and Cincinnati. We perform residential and commercial services, covering general pest control, termite control and elimination, real estate inspections and gas line warranties, and a broad assortment of programs for commercial businesses. Our management possesses decades of experience and thousands of services, including decades of experience with Terminix International. 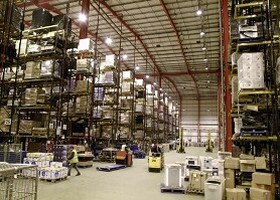 Our company mission is to provide the highest quality service for a reasonable price. We welcome the opportunity to serve you. 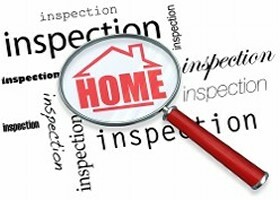 Contact us now to schedule a free inspection and price quote. (c) Torco is a registered trademark of Torco Termite and Pest Control Company, LLC. All rights reserved.